Municipal bonds are widely considered to be less risky than corporate bonds because they are backed by tax revenue from cities and states. 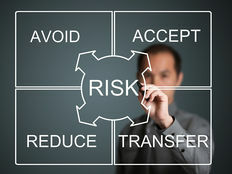 However, they still face a number of the same risks. In particular, interest rate risks are a major concern for the fixed-income asset class, including muni bonds. Rising interest rates can put downward pressure on bond prices by forcing yields higher, while falling interest rates can have the opposite effects. 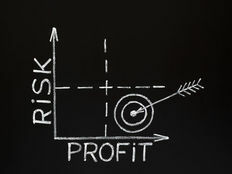 In this article, MunicipalBonds.com takes a look at how interest rates affect muni bonds and how investors can analyze that risk for both individual bonds and bond funds. Municipal bonds have a fixed face value that’s paid at the maturity date along with interest accrued over the holding period. However, the market price of a bond at any given point in time reflects a number of risks, including interest rate risk. 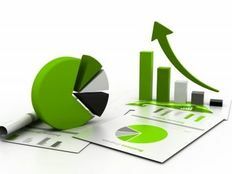 An investor that purchases a bond during a low interest rate period will find themselves holding a less valuable asset during periods of high interest rates when yields on other bonds are higher. Duration is a number that represents a bond’s sensitivity to changes in short-term interest rates. In particular, duration is the change in a bond’s price for each 1% change in interest rates. A duration of four, for instance, means that a 1% change in interest rates would lead to a 4% drop in the bond’s price. Higher durations imply greater sensitivity to interest rates and lower durations imply lower sensitivity to interest rates. The duration calculation is actually quite complicated and includes several variables such as yield, coupon, final maturity, and call features. For individual investors, duration can be determined by reading financial websites or consulting a broker or advisor. Investors can take this number and multiply it by an anticipated increase or decrease in interest rates in order to assess the risks that the moves would have on their portfolio over the short-term. Duration is a great tool that helps investors analyze the interest rate sensitivities of bonds, but the calculation isn’t always the most accurate to assess interest rate risk. The calculation assumes that there’s an inverse relationship between price and yield, but in reality, these relationships are often convex or curved in nature. Often times, duration is accurate for small changes in yield, but the measure becomes increasingly inaccurate for larger changes. Convexity is a much better way to analyze longer-term risk where the relationship between price and yield is not linear. In essence, convexity measures the changes in duration as interest rates change. Convexity tends to decrease with higher coupon rates since higher yields are less sensitive to interest rates, while bonds with call features may also display negative convexity if yields fall too low since duration decreases when yields decrease. Positive convexity works in an investor’s favor since the price becomes less sensitive to interest rates when yields rise than when yields decline. On the other hand, negative convexity means that duration increases as yields rise, working against an investor’s best interests. Municipal bonds tend to provide above-market equivalent yields because they offer unique tax advantages compared to other types of bonds. As seen above, higher yields tend to be less sensitive to interest rates, which means that muni bonds as an asset class tend to be less sensitive to interest rate changes than corporate bonds. However, there’s still a risk level that can be calculated using the duration equation or by looking at convexity. It’s also worth noting that bond funds can be analyzed in much the same way as individual bonds. Investors can multiply the fund’s duration by changes in interest rates to estimate how much the fund will be impacted by changing rates. Convexity can be calculated in much the same way. The same principles apply to bond funds, which means that high-yield funds are less sensitive, in general, to changes in interest rates. Municipal bonds are widely considered to be less risky than corporate bonds, but investors should keep in mind interest rate risks. Using the concepts of duration and convexity, investors can get an idea of how much risk they may see in the future based on expectations for interest rates. Muni bonds may be less exposed to this risk than many other types of bonds, however, making them an attractive asset class.